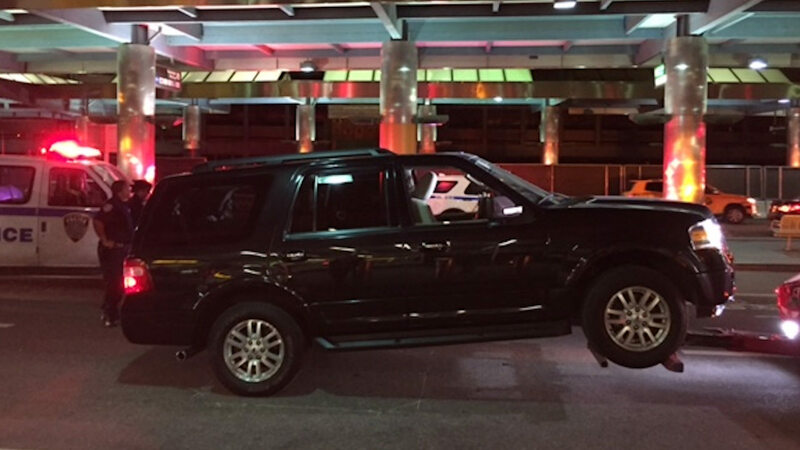 NEW YORK (WABC) -- Authorities say an unlicensed livery driver left his SUV parked at the curb at LaGuardia Airport Thursday night, sparking a scare and partial evacuation of Terminal B. The driver parked and left the vehicle unattended just after 11 p.m., and a witness reported seeing the driver running from the scene. Port Authority police responded, and the terminal was partially evacuated during the investigation. The vehicle was quickly identified, as it had been involved in prior investigations into illegal livery operations at the airport. The NYPD bomb squad also responded to the scene and seemed the vehicle was safe. It was issued a parking ticket, towed and impounded by Port Authority police. The driver is being interviewed by Port Authority police, and their investigation into the illegal operation of a livery vehicle continues. No other criminality is suspected. There was heavy traffic in the area because of the police activity, with Terminal B reopening after about an hour.